Beware the Ides of March. I really didn’t know what “Ides” meant until I looked it up one day. It’s the day of the ancient Roman calendar that coincides with March 15, and marks the celebration of the ancient Roman New Year. Mar. 19, 2014 6:02 p.m.
You now, that time when the caucus kills the tyrant, and drags the country into a long and bloody internal war that eventually leads to the downfall of the empire. As in Rome, so it shall be in Alberta. It was a spring day in 2011 when the Alberta Progressive Conservative caucus told Premier Ed Stelmach to stand down. He made the announcement in May and his last day on the job was Oct. 1. The same may happen again for Alison Redford, the “not nice” lady who faced a four-hour grilling from party brass over the weekend, and as of this Monday morning writing, was to face another from her caucus. News reports made much of the standing ovation she received from the party brass after the “frank and open” (some said brutal) talk she had with them. But no one should expect the same from caucus. This could well be a blood-letting. We’re not talking about individual complaints here. Len Webber was already planning to quit provincial politics and run federally in Calgary Confederation when he quit the party last week. The former cabinet minister wasn’t sacrificing much when he publicly called out Redford as an arrogant bully who doesn’t listen to caucus, and resigned to sit as an independent while building his federal campaign. He doubtless expects daily group hugs under Prime Minister Stephen Harper. But Webber’s tirade was just the sound of a dam breaking. By the end of last week, there were rumours that at least 20 Tory MLAs were ready to quit the party and sit as independents. If that is true, they could become the official opposition. The Wildrose Party only has 17 MLAs. That was the first rush that forced Redford to repay the $45,000 spent on her trip to South Africa for Nelson Mandela’s funeral. It won’t be enough. CBC reporters discovered a secret meeting of 10 MLAs, who gathered Saturday to “talk policy” at an Edmonton office building. Among them was Red Deer North MLA Mary Anne Jablonski. The group was tight-lipped when questioned as they walked to their cars after the meeting. But here’s all you need to know: none would come out and specifically say they supported Alison Redford as leader and premier. My reading of the entrails of news reports tells me it’s game over. In federal politics, the prime minister, inner cabinet and the PMO can stonewall the backbenches, Parliament, everyone. The whip of party loyalty is much sharper when there is a threat a backbencher may not be re-elected or, if elected, returned to the backwaters of the opposition. Not so in Alberta. Most Alberta MLAs were in high school or younger (some not even born yet), the last time the governing party lost an election. The 58 current Tory MLAs have never known a time when their caucus did not call all the shots. Being Tory meant being government, and the sitting MLAs needed only to keep the leadership in line with them through to the next coronation. When leadership changed, MLA backing meant everything to the candidates. That was before Alberta got a top-down Tory leader, who at the start of her leadership bid had only one MLA’s public support. That was before Wildrose arrived on the scene. Now, Tory seats aren’t so safe anymore. Redford may finally be repaying the $45,000 for her plane trip out of pocket, but it’s the local MLAs who will finally pay the price at the polls. Without the whip of party loyalty to keep MLAs in line, I can’t imagine what Redford could offer caucus now to keep her leadership, much less win a standing ovation. I expect there will be another leadership campaign, and this time, candidates won’t win points offering teachers and health-care workers nice deals on funding, in exchange for instant party memberships. These workers may join again out of fear of what Wildrose would do in power — and that is its own kind of loyalty, I suppose. 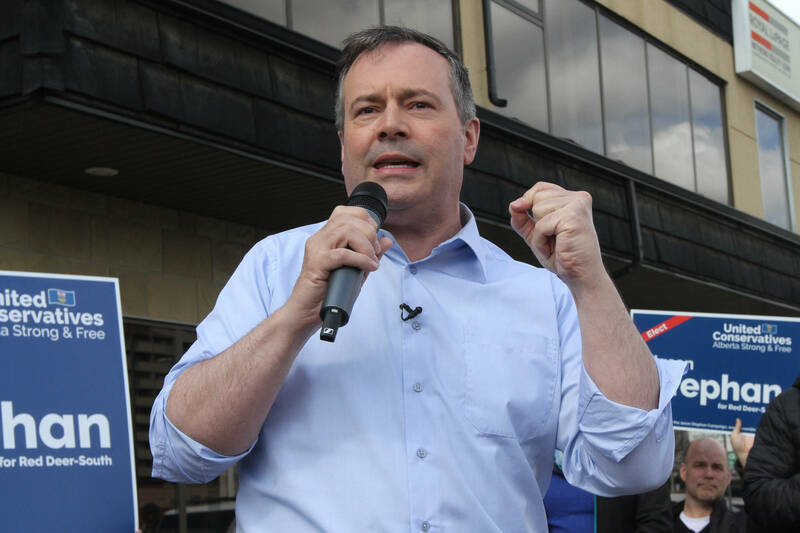 But like the senators who disposed of Caesar in the Ides of March, hoping to restore the old republic, the plots to restore caucus control of the Alberta government will likely lead to an internal struggle that will leave the Tory empire weakened. If I were Redford, I would apologize to caucus, step down and let what happens, happen. This can’t be saved.